Yes, thanks. I was trying not to pull in any new dependencies and would never write it that way in a real app. There’s also EasyLayout by Frank A. Krueger. I’ve got a question regarding hand-coded UI. Can you recommend any good patterns to manage UI code? In your example you put everything inside ViewDidLoad method. Do you also do it in larger projects with complex UI or you have any tricks to achieve ‘clean’ UI code? We’ve worked out something of our own. It’s a mix of inheritance and helper classes. Perhaps you can find some information on how some people have done that with Swift/Objective-C? Unfortunately, there’s very little information about this topic. As far as I know, using storyboards or XIB files in bigger projects is sometimes considered as a bad practise. They’re simply hard to maintain due to the problem with merging. Regarding writing UI in code, I think there isn’t any generic pattern. You’re using what suits you best but it would be nice to see how other people are trying to make UI code more maintainable. The clarity on your submit is awesome, and i will agree with you are a professional on this region. well together with your authorization allow me to get your RSS nourish to keep up to now with coming near publish. Kerry, can you shed more light on the setup for storyboard? 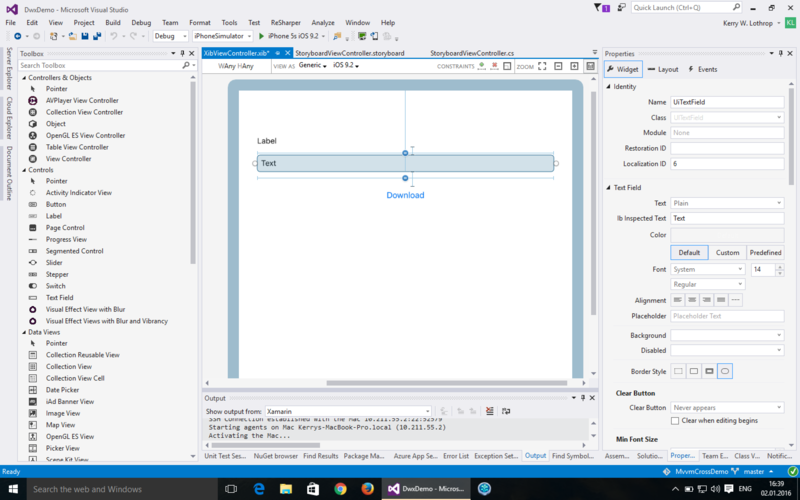 I am using Xamarin Studio on Mac and trying to understand how to set the storyboard ID. Do I create both a storyboard and a ViewController separately? How do they get hooked together, is it the ID? 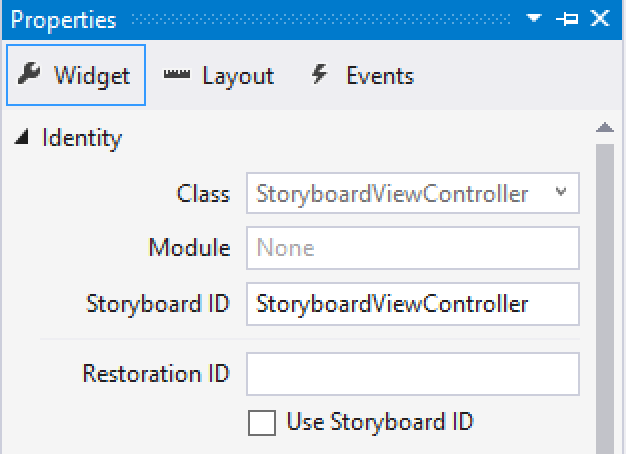 You create a storyboard that contains the ViewController. See also this answer on StackOverflow http://stackoverflow.com/questions/22126929/mvvmcross-support-for-xamarin-ios-storyboards on how to match the IDs.